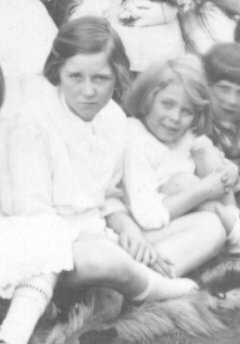 Eileen was one of a pair of twins. The mother couldn't cope with looking after them both so she gave Eileen to be looked after by the Robertses (together with Joseph Baron jr.). She was known as 'Tiny'. She had two daughters by a man whom she couldn't marry because his wife was still alive but in a mental asylum. Lived with said man in the Canaries (where he had business ventures) but had to return to London, destitute, when his business collapsed.